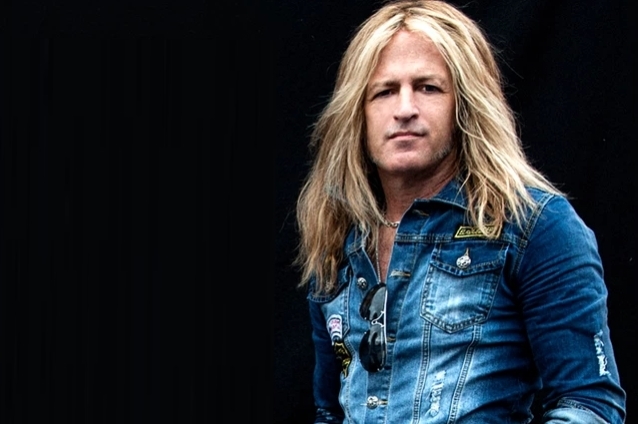 Share the post "DOUG ALDRICH Says He Almost Auditioned For MEGADETH"
Former WHITESNAKE and DIO guitarist Doug Aldrich says that he nearly auditioned for MEGADETH in 1989. At the time, MEGADETH had just parted ways with Jeff Young and was preparing to go into the studio to record the now-classic “Rust In Peace” album. Originally hailing from Raleigh, North Carolina, Aldrich has been an icon of the Los Angeles rock scene going back to the mid-1980s, first gaining attention as a member of LION, who did the theme to the original animated “Transformers” film. He went on to perform with bands, including HOUSE OF LORDS, HURRICANE, BAD MOON RISING, BURNING RAIN and others while also establishing himself as a solo artist. During this time, Aldrich was one of the leading guitar instructors in Los Angeles, teaching upwards of 70 students per week. In 2002, Aldrich was selected for the coveted spot as guitarist for DIO. Later that year, he joined up with singer David Coverdale, and eventually took over guitar duties for WHITESNAKE, playing alongside his future bandmate in THE DEAD DAISIES, bassist Marco Mendoza. Doug is currently preparing to go on tour with THE DEAD DAISIES, supporting their 2018 album “Burn It Down”.